It’s summertime and we love bright colors! We especially loved servicing Lanise and Clayton as they began their life’s journey together. The bride was daring in that she chose a vibrant orange and a rich chocolate for her wedding colors. We took these colors and transformed them into beautiful programs and candy bags. 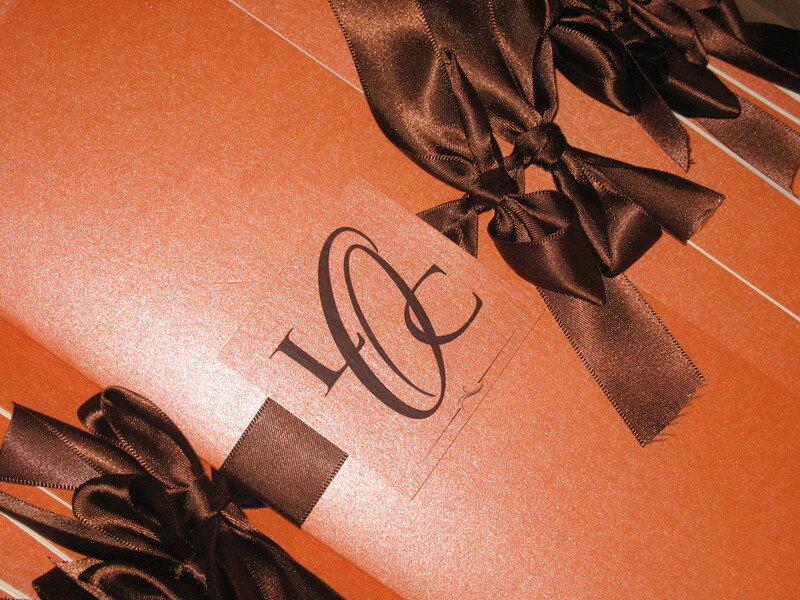 The program was elegant with metallic orange paper and a satin chocolate ribbon. 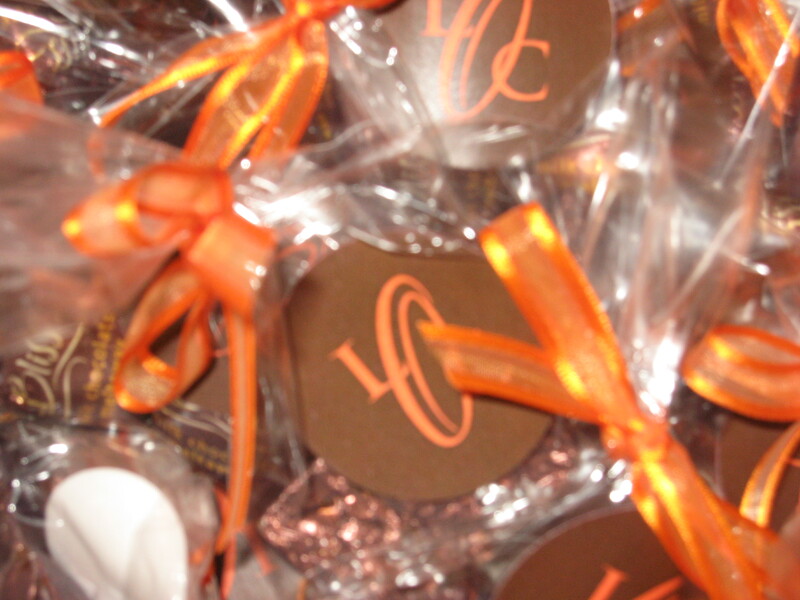 For their favor, Lanise and Clayton wanted to share some of their marital bliss with their guests so we made candy bags and filled them with Hersheys Bliss Chocolate and completed the look with an orange sheer ribbon. Bright colors certainly ruled Lanise and Clayton’s day so don’t be afraid to let it bring some character to your wedding day as well! The saying is true, chocolate makes everything sweeter!